NEADS Dogs are trained to perform tasks and behave obediently through the use of positive reinforcement and clear leadership. We select dogs that are natural followers, so it is easy to guide them into choosing behaviors that we like in order to reward them. Our dogs love to work. The behaviors we teach are inherently fun for them (like tugging on a rope or running to a sound), so the dogs learn to associate work with having a good time. As a puppy grows and learns, each positive experience influences future behaviors. During early training, food is the primary reward that reinforces good behavior – this capitalizes on a common motivator for dogs. As time goes on, the food is reduced or replaced with other incentives so that the dog will work even when there is no food reward. Whether it’s a scratch on the chest or a chance to play ball, the dog knows that something good is coming. As a result, working is fun for both the dog and the human, which ensures a happy working relationship for many years to come. NEADS dogs are taught a list of core commands, and they follow a basic training schedule throughout puppyhood. 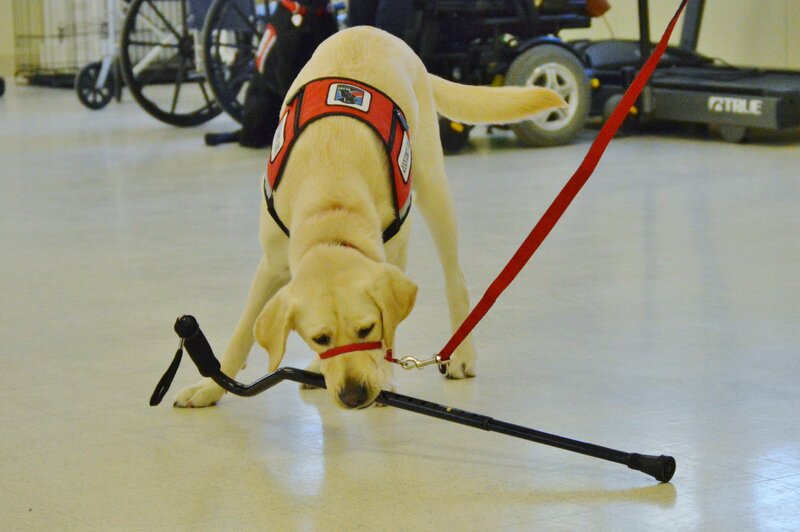 However, once a dog is nearing completion of the program and is matched with a specific client, the dog’s training is tailored to the client’s unique needs. After the client experiences 10-14 days of training with a skilled instructor, they can barely remember a time when the dog wasn’t a part of their life. Our organization has trained Service Dog Teams for over 40 years. Through research and experience, our instructors remain up to date with current training methods and trends in the industry. We routinely explore new dog breeds and new tasks to make certain that we are meeting the needs of our clients. Most importantly, we raise and train the perfect working partner for each of our clients. Visit the ADI website for more information on current standards of training for Service Dogs and their partners.